SHE has fought banks, navigated through a web of government departments and even survived a quadruple bypass - but the hardest thing Kerry Jonnson has ever had to do was ask for help. In 2015 the Rural Weekly reported on the Jonnson family, owners of Jervoise Organic Meats, and their crowd-funding campaign to save their business. 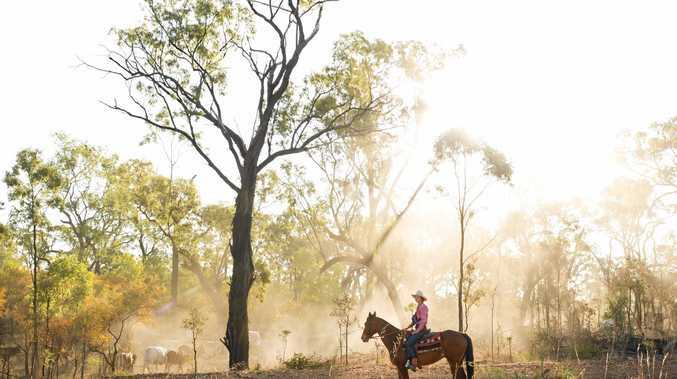 Coming off the back of four years of drought, the family was delivered a tough blow when they lost their abattoir in a compulsory government land acquisition of their block in Tully. Seeing their long-term business plan collapse, Kerry agreed to launch a crowd-funding campaign to raise money so they could build their own abattoir on their station. They saw it as the only way forward. She now describes the process of sharing their story and asking for donations as like "bearing her soul to the public”. She said the pastoralist family members were private people and it went against their nature to ask for a handout. The campaign failed to raise the $250,000 needed, but awareness through the initiative opened up enough doors for them to battle on. The organic business, which grows out cattle at Jervoise Station near Greenvale in Far North Queensland, is currently processing their beef through a meatworks at Clare - which is about a five-and-a-half hour trip from their property, costing them time and money. However, the family's dream of having their own abattoir on Jervoise is still alive. "I have the steel ready and the plans drawn up,” Kerry said. That last box is a challenge, as it involves getting their property freeholded. Kerry is fiercely confident the project will happen but is only uncertain on the time frame. "We have the tenacity of several blue heelers to keep trying,” she said. "There are some days I think, I am too old and too tired and I should just close the doors, but then I think of all the people who have gone to a lot of trouble to help us. In 1979 Kerry's grandfather, Greg Jonsson, was one of the pioneers of the organic industry, refusing to dip or treat his cattle with chemicals. By 1996 their herd of about 5000 santa and brahman cross cattle were certified organic. "There are so many people not well, and it's because of what we eat,” she said. "We just need to go back to simple food that's not processed. Now, there are well-known premiums for certified organic meat, but when the Jonsson family started, it was considered something of a fad. "Our banks used to say it was a niche market and would never give us any credit for being certified organic,” she said. What drives Kerry every day is creating a sustainable business for her six adult children. When finished, the Jevoise abattoir will be built to export standards and have the capability to process about 100 head a day. "We will start small, but will design it with the option of expanding,” she said. "Even if we only start up with only one cold room, we will later be able to expand with another. "Ideally, every beast that is grown on Jervoise will be put through our processing system. Eventually Jervoise Organic Meats will produce beef, pork, chicken and goat meat, she said. The option of expanding to have multiple cold rooms will be essential to process different animal types. It's been a slow drawn-out journey for the Jonsson family, and looking down the barrel of losing their business took its toll on Kerry's health. Last year she suffered a heart attack during what she now jokes was the most "inconvenient time”. "I don't know whether it was from being tired of fighting the banks or whether it was the crowd-funding. "That was a hard thing for me to do. "We had to bare our soul to the public. Kerry was feeling tired, and like she had indigestion when loading two pellets of meat onto a truck headed for the depot. "My daughter told me to sit down and said 'Mum, you are right, I can do it on my own'. So I sat for a minute and then I said to myself, 'Kerry don't be lazy, get up'. "So we loaded the truck, and then we unloaded them and my indigestion didn't go away. The heart attack shocked Kerry's family, and their fight for the abattoir was temporarily put on hold. "I am better now. But if I feel tired now I sit down. I don't push through it anymore,” she said.